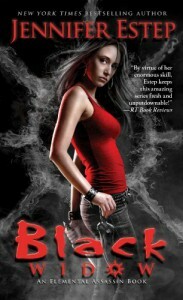 With this 12th installment of the Elemental Assassin series, Jennifer Estep certainly doesn't disappoint. Receiving this ARC had me jumping for joy. Fans of the series will love to see Gin back in action and the story line with Madeline Monroe move forward. There is plenty of suspense, fights, witty dialogue as well as angst for our favorite characters. Even after so many books, I still adore this series!